Nissan’s Thai subsidiary has exported 1 million vehicles to 115 countries since 1999. Nissan last month became the first major OEM to offer an EV for sale in Thailand when it began accepting orders for the battery-electric Leaf. Deliveries begin in April. Nissan celebrates the milestone of the 1 millionth car it has built in Thailand for export with a ceremony where it reveals it has ambitious plans to turn the country into a hub for production of electric vehicles – its first EV hub outside of Japan. The automaker reached the 1 million-unit mark with a Terra SUV, one of the half-dozen models it currently ships. Vehicles have been exported from Thailand to 115 countries since the first were shipped in 1999. Nissan Thailand President Antoine Barthes predicts both domestic sales and export orders will keep growing. “If you look at calendar 2018 we were top five in Thailand,” he says. “We’re increasing and improving our position year-on-year and looking at the current situation, we will keep increasing our exports out of Thailand, in the short – and significantly – medium term. “About 50% is for the domestic market and the second half is going for export,” Barthes adds. “We are exporting six vehicles with the main vehicles being Navara, Terra and March.” Last year Nissan’s exports were up 19%. Nissan’s production capacity at its two Thailand plants is 370,000 units. Nissan also is blazing the trail to EVs in Thailand. 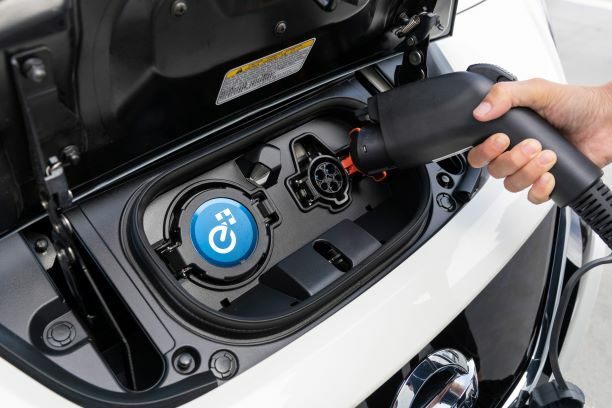 In December it became the first major OEM to offer an EV for sale in the country when it began accepting orders for the Leaf at the Thailand International Motor Expo. Deliveries begin in April. The EVs initially will be shipped to the country as completely built-up units. Under its submission to the government for tax incentives to build locally, Nissan has three years to start production. Both Sanada and Barthes believe locating an EV hub in Thailand makes sense. Sanada notes the automaker has operated more than 60 years in the country and has its regional headquarters there. The Leaf was the headline debuting model at the Motor Expo, and Barthes says the level of consumer interest surprised him. “I was optimistic in the beginning, but I think the number of people who came to us to ask for information, documentation, about the Leaf was very clearly higher than our expectation,” he says. Nissan won’t commit to which EV models it might produce here, but Barthes believes the automaker’s ePower hybrid-electric system would be “perfect” for Thailand. The system’s battery-powered electric motor propels the vehicle at all times, and a gasoline engine charges the battery as needed. Unlike the Leaf, the ePower drivetrain doesn’t require a plug (left). That could make the system a good fit in a country that has only about 250 charging stations located at malls, banks, high-end hotels and other locations, each with one to five charging points. About two-thirds have been installed by the private sector, while the rest have been fully or partially funded by the government. The government-based EV association estimates it will take up to five years to develop adequate charging infrastructure. As Nissan lobbies the government to promote the mass uptake of EVs, Barthes says Norway’s strategy could serve as a template here. In Norway, there are “facilities for the EV driver. They can use bus lanes, they can park freely in the city center, for some cities they can enter the city center without charge,” he says. “They can fully access electricity (for charging), and we’ve seen that in those markets when those incentives are in place, the speed of electrification goes quicker. It’s not all in or out – there is a direct market without incentives, but it’s a bit slower.